I’m not the best person to give advice on cosmetics, but I do love my lipsticks. 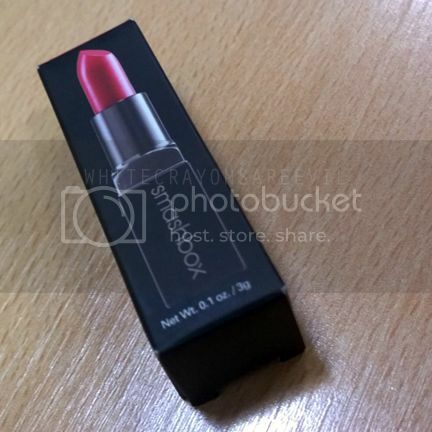 I just learned of the brand Smashbox last Monday when my mood was so down (there’s a connection in there, I promise). I was so sad so I wanted to cheer myself up. Incidentally, I was already on my way out of Robinsons Magnolia (I was there because I wanted to check out the newly-opened H&M. Notes below. I ended up buying stuff on Cotton On. Because, SALE!!!!). At that point in my life I thought that a new lipgloss can improve my mood. So when I saw the Beauty Bar, I went in and saw a bright pink matte lippie, Smashbox Be Legendary Lipstick in Electric Pink Matte. It was love at first sight. Then I asked for how much it was. Very expensive on my standard (I did JUST bought four blouses and dresses). But I was sad. And I really liked the color. So I told myself, why the hell not. After I bought it, I had a little regret because I knew I purchased the item based on my emotions and not my ‘wants or needs’ criteria. But all of that fade when I started using it. Based on my everyday routine, I put on my lipstick every morning at 9:30am-ish before I leave the house. Then, depending on the brand, the lip color will be gone by 3pm-ish, after my morning coffee, tons of water (i like my water), and lunch. Today I was so surprised (and happy!) that the color of Smashbox stayed even after lunch! 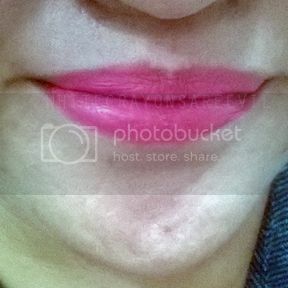 I could not ‘feel’ the lipstick, and was stunned when I saw pink on my lips. The staying power of this stuff is amazing. Also, I adore how I only need one layer to color my lips. Gah! The color is really not that “electric” when you put it on, though. It was bright pink but not neon-ish. Perfect for everyday and daytime uses. The downside is it’s expensive. P995 a pop. 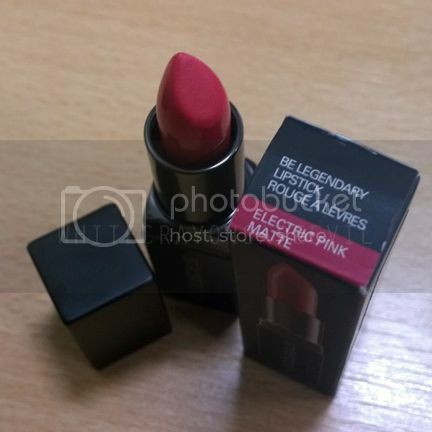 I rarely spend more than P500 bucks on lipsticks, you guys. I am cheap like that. But then again, it’s all worth it. Incredible staying power. So, H&M. Meh. Not a fan. I find it too… err… monotone? The prices stunned me, though. I thought stuff would be super expensive, but they were ok.